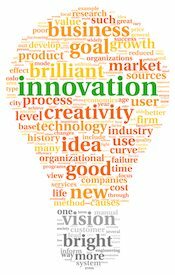 Good Marketing understands how to address and resolve client challenges by strategically leveraging innovation and emerging technologies to expand and enhance product lines, services, production capabilities, and access to new markets. Whether providing a solution or added value for a customer or creating a relevant and compelling competitive advantage for optimal business growth, Good Marketing utilizes dynamic technologies, strategic partnerships, and access to new markets to help businesses thrive beyond their current base and internal resources. To optimize its access to emerging technologies, Good Marketing, Inc. has partnered with Ridgeback Business Development, an Israel-based, technology sourcing firm with a broad network within Israel’s robust tech start-up community. The markets engaged by Good Marketing and Ridgeback reflect a broad spectrum of industries including Life Sciences, Wellness Technologies, Senior Care Products and Services, Renewable Energy, Distribution Technologies, Consumer Data Access and Management, Production Optimization, Sensor Technologies, and many others. Good Marketing creates marketing and technology development solutions for both business and consumer target audiences across a variety of industries and demographics.